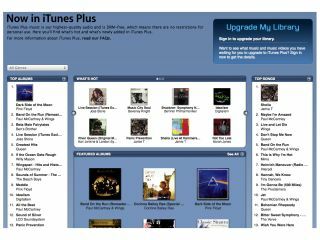 The presence of personal information on DRM-free iTunes tracks is nothing to worry about, says a US tech analyst - unless you're doing something you shouldn't. "It's hard to garner sympathy for folks concerned about uploading music to file sharing sites and being able to be found," says Jupiter Research analyst Michael Gartenberg in a blog post titled Thoughts About Embedded Information in iTunes Music . "I think the fact that you're concerned about being found might tell you that you're doing something wrong so don't do that." "Let's face it, this is about DRM-free music and not music sold without copyright. Or to put it differently, if I take the locks off my doors, you still can't come into my living room and take my TV, so this argument holds little merit." "It's a pretty common practice to identify stuff like this as proof of purchase and other stores do this as well. Apple has always embedded this information from day one and it's very easy to see. Other vendors likewise do the same thing. "The reasons are many why you might want to be able to tell which songs on a users hard drive came from your store for things like promotions and or upgrade offers. If you're really concerned there's plenty of ways to remove the information." Apple appears to be using Gartenberg's post as a proxy response to journalist questions about iTunes ID. It has not officially responded on the matter.